Chair of the Jackson Academy Board of Trustees, Gregory M. Johnston, announced yesterday that school President Cliff Kling has accepted the position as President and Chief Executive Officer of the Gulliver Schools effective January 1, 2018. Jack F. Milne has been unanimously selected by the Board of Trustees to succeed Kling and lead Jackson Academy as Head of School beginning January 1. Gulliver is the fifth largest school in the National Association of Independent Schools serving over 2,200 students on four campuses in Coral Gables, Pinecrest, and Miami, Florida. 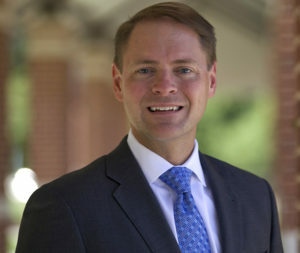 Kling has served Jackson Academy for over 17 years, first as Chief Financial Officer and General Counsel, and he is currently serving in his fourth year as President. His contributions to the school have been immense and include spearheading land acquisition to double the size of the main campus; overseeing the design and construction of over $25 million of campus improvements; providing financial leadership to facilitate the implementation of JA’s Apple one-to-one program; implementing a STEM curriculum and installing three STEM labs; leading the processes of creating a new mission statement, branding identity, and a new crest; negotiating the refinancing of JA’s bond indebtedness at a savings of $165,000 per year; and working with the development office staff to raise record amounts in the JA Annual Fund, including over $420,000 this past school year. Milne joined JA June 1 as Vice President and Dean of the School, the senior administrator overseeing academics, arts, athletics, and student life. Milne came to Jackson Academy after serving as a teacher, Middle School Head, and Associate Head at the Bolles School in Jacksonville, Florida where he served for 17 years. He holds a Bachelor of Arts in History from Vanderbilt University and a Juris Doctor from the University of Florida College of Law. The Bolles School is a selective boarding and day school serving 1,750 students in grades PK to 12 on three campuses. He taught Economics, Economics and the Law, and U.S. History for four years before becoming Associate Head of School for Student Life. After 10 years as Associate Head, during which time he continued to teach, he was tapped to lead the Middle School campus. In 2004, he was awarded The Bolles School Dewan Teaching Fellow Award. 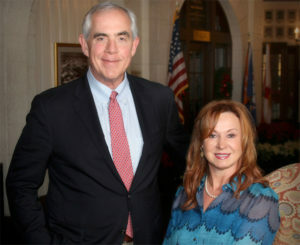 Among numerous areas of service, he was faculty sponsor of Fellowship of Christian Athletes, board member of the Boy Scouts, president of the Jacksonville Historical Society, chair of the Jacksonville Environmental Protection Board, vestry of St. Mark’s Episcopal Church, and trustee and chair of the Board of Trustees for St. Mark’s Episcopal Day School. “When Caroline and I first set foot on the Jackson Academy campus, we could immediately sense that this was an energetic, progressive, caring, student-centered school,” said Milne. “I am grateful and deeply humbled at the trust that has been placed in me by the Trustees. I have learned a great deal under Cliff’s leadership and look forward to the next several months working with him in preparation for this critically important role. Caroline and I have been made to feel so welcomed by JA and the broader Jackson community and are excited about our future years with the school and in our new hometown.” Milne and his wife Caroline reside on Sheffield Drive near the school. They are the parents of three adult children.